If there’s one colour I love, it’s black. Black shirts, black jeans, black watches, black coffee. Same goes for watches. It’s fair to say that if Darth Vader was wearing retro watches, he’d opt for a black one. Quite possibly this black one. 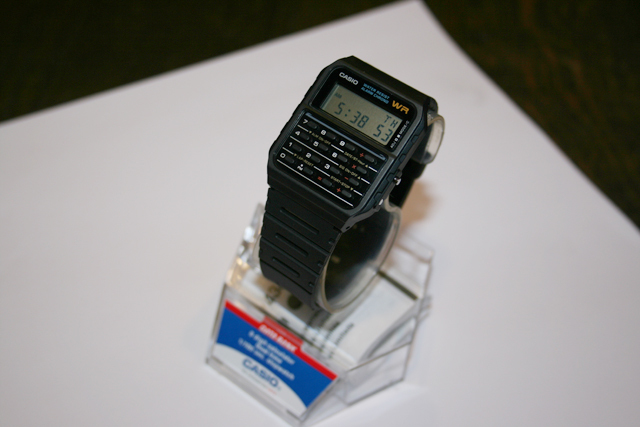 The lovely Casio 70’s calculator watch. This is a NOS watch, still in it’s display box and case – mint unused condition. Possibly the best “gift” watch on the site at the moment.